Does back pain stop you from participating in your favorite activities? Are you afraid that you wont be able to play 18 holes on a beautiful Saturday morning with your friends because you know your back pain will act up? Is sitting and watching your son or daughters soccer game nearly impossible because your back becomes too stiff? Then you are probably like millions of other Americans who are dealing with low back pain. Fortunately a life of bed rest and medication does not have to be in your future. A physical therapist can help you avoid painful and expensive surgeries, or a life of prescription pain killers. Here are 5 things you probably didn’t know, but need to know about back pain. Imaging tests like MRIs, X-Rays and CT Scans are great for helping diagnose a variety of injuries, pathologies and conditions. However back pain is not one of them. Studies show that people who do not have any back pain at all can have bulging or herniated disks, degenerative disk disease, and arthritic changes. This means that even if your MRI comes back positive for a herniated disk, the disk may not actually be the cause of your pain. These same studies show that patients who report low back pain often report an increase in pain following an MRI that confirms a herniated disk, degenerative disk disease or arthritic changes. Even worse these imaging tests are costly, and often do not change the most appropriate plan of care for patients dealing with low back pain. The best way to treat a patient dealing with low back pain is to treat each patient as an individual. Treat the impairments found during a physical evaluation, not what an imaging test says. 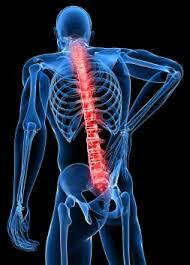 Very few people actually need surgery to relieve their low back pain. In fact out of 56 million Americans only 5% actually require surgery. Staying active, identifying the factors that increase pain and living a healthy lifestyle can greatly reduce an individuals level of pain. Physical therapy can create positive changes and lead to positive outcomes for most low back conditions in just a few weeks. The best way to combat low back pain is with physical activity. Cardiovascular exercise, strength training, core stability and stretching can greatly improve an individuals quality of life and reduce their pain. Working on exercises specific to your favorite sports and activities is an essential part of a full rehab program. Things like working on spinal mobility to help your golf swing, and proper lifting techniques can make fast and lasting changes that can keep you out of the operating room. Contrary to a former treatment for low back pain, bed rest is not the answer. I know this sounds a little counter intuitive, but when you are dealing with an episode of low back pain, one of the worst things you can do is stop moving. Remember regular physical activity is a great way to treat and prevent back pain, so bed rest is on the completely opposite end of the spectrum. If you are dealing with low back pain, take 5-10 minutes every hour to stand up and move. Walk around your office, stretch or perform some mini squats next to your desk to help alleviate your pain. Stress and mood play a hidden role in low back pain. Studies show that individuals who are depressed, stress, or dealing with other emotional disturbances often show an increase in low back pain. Back pain can be triggered by stressful life events, anxiety and other factors. Finding ways to manage your stress and anxiety are crucial to preventing and treating low back pain. Yoga, Pilates, exercise, massage therapy and meditation are under the radar treatments for low back pain.